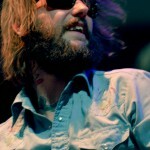 I never got the chance to shoot Band of Horses when they were in our prime, i.e. still carrying the buzz of the early releases through the blogosphere. I did however got to see them in the big church during SxSW. That was pretty moving. Wall of sound, cathedral (seriously) ceilings, perfect venue for the at times sparse and haunting songwriting that made us suckers for the first two albums. They have since left our little corner of the intarwebs for bigger pastures, but so what. I got to shoot them finally under the carnival tent that is cathedral-esque at Stubb’s and they played some early hits, so there. Roadkill Ghost Choir opened, a few thoughts and some snaps past the break to ogle while you wait for your ride to Psych Fest. I take advantage of the fact that I’m the only female Top 5 contributor, and I like to add my lady perspective to the male dominated ATH crew. What better way to lend my girly advice to you boys out there looking to win over the ladies with a musical selection. Ladies, you will probably just agree and be awaiting a mixtape with the following tracks on your playlist. So here are a handful of love songs for all you indie-romantics. Andy Herod was always one of my favorites, especially when he fronted the Comas. Now, he’s still working on his latest project, Electric Owls. They combine a lot of his rootsy folk elements with flourishes of electronics. The band has just released the new Cullowhee Songs EP on Vagrant, which features members of Band of Horses and other Comas remnants. Herod always had this way of connecting with me as a listener, and based on this track, it seems like he still has that special touch. Give this track a spin, and if you likes, then go back and check out all the old Comas stuff, as well as the last Electric Owls record. I bet you’ll be pleased. With only about a week and a half remaining until the huge ACL festival starts on the 8th of this month, it’s time that you really start thinking about that plan of action for who you want to see over the weekend. Sometimes your choice will be easy with only one decent band playing at a certain time, but then you’ll have a choice like this one that will make you want to pull your hair out. So on the one hand you have The Flaming Lips who formed over 25 years ago and have been doing their psych rock thing for longer than most of us can remember. But then we have a more recent favorite in Band of Horses who can still hold their own despite their relatively short career together. 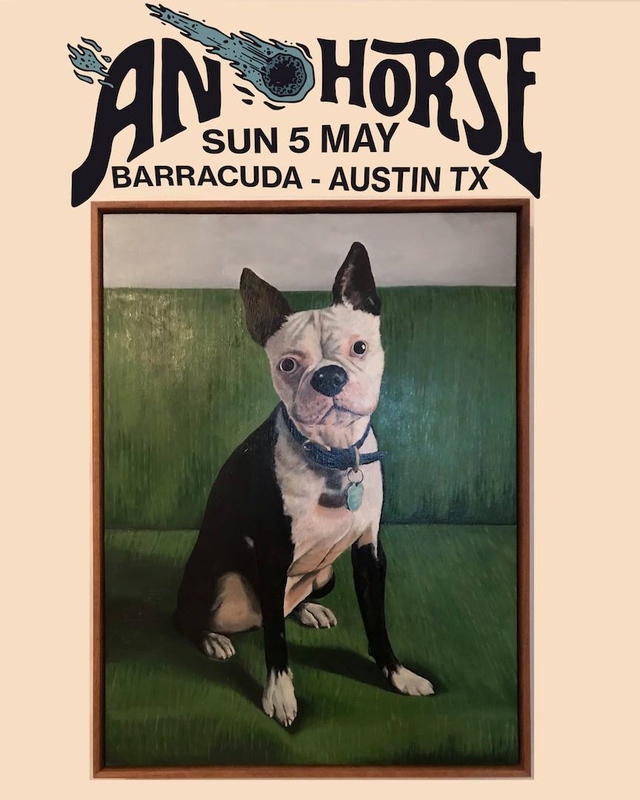 Both bands are playing on Sunday late in the day at 6pm on opposite sides of the festival, so you have little hope of catching a bit of both sets. 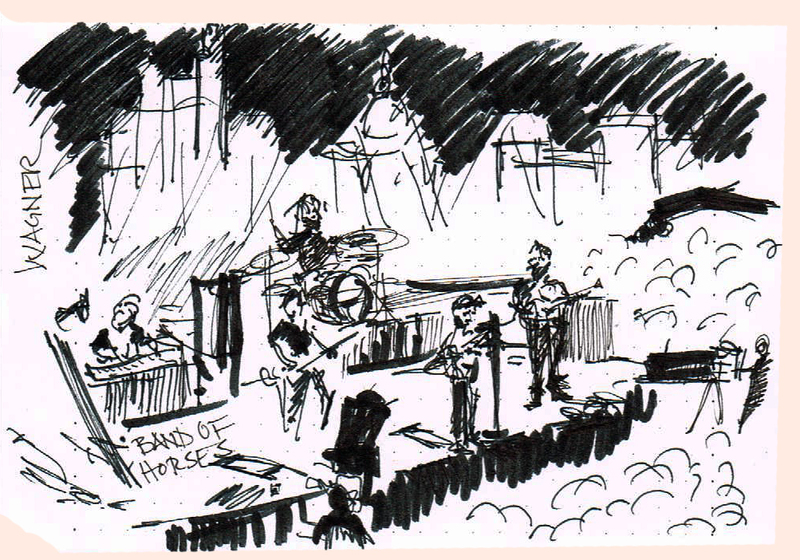 My initial feeling was to go with Band of Horses based on my just having seen Flaming Lips at Free Press Summer Fest earlier this summer. Plus, I feel like The Lips are still using the same damn live gimmicks that they’ve been hitting us with for the last 5-6 years… I mean cool, but I’ve seen it more than once. Then again, Flaming Lips play right before The National on back to back stages so it would be nice to just post up and avoid fighting the crowds. I also fear that the Band of Horses crowd could be old hippie city since The Eagles play on the same stage shortly after BOH. My indifference towards the recent material from both of these bands may cause me to just go with a majority vote amongst my friends. Care to share your thoughts? Last week Raygun told us that “School’s Out for Summer” and shared the best songs to listen to about the school year finally being over. This week I want to take a look at the best songs from the year that will enhance your summer time easy living philosophy. Follow the jump for the list and a brief explanation. The week of May 16th features several artists, long considered favorites by many indie rock fans, returning to the fold with new albums. 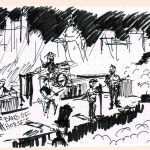 Not only is Band of Horses coming back with their new album, Infinite Arms, but they are also coming in with a new record label, having completed their agreement for Sub Pop. Would the change signify a distinctive shift in sound, or would we get more of the same? On the opening track, “Factory,” you get the since that things haven’t changed too drastically since the last album, Cease to Begin. It’s got that slow paced Americana, expanded by the addition of string arrangements, and accompanied by Ben Birdwell’s exquisite vocals. He’s got something in the way his voice seems to fall off with just the tiniest vocal inflection, and it always gets me. 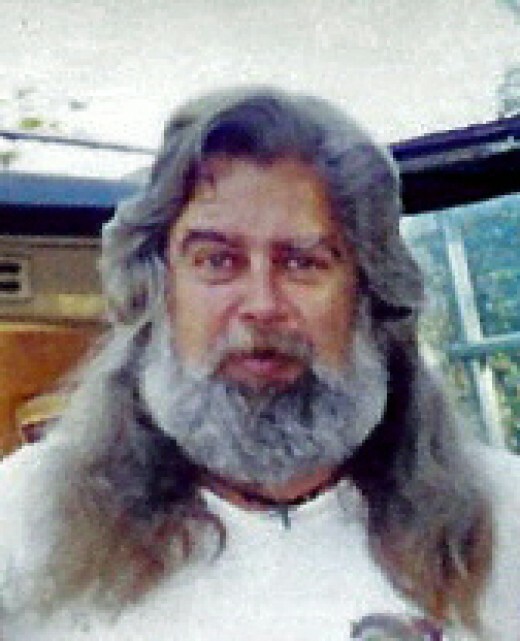 Similarly, one of the other singles, “Laredo,” approaches the most-rocking moments of the album, with a steady percussion beat creating the backbone of the tune. Oddly, the melody and the structure seem super-connected to “No One’s Gonna Love You” off their last record, but then again, even with Birdwell’s strong vocals, the band does have a tendency to blend into itself. Still, this is a bit of re-hash in these eyes. 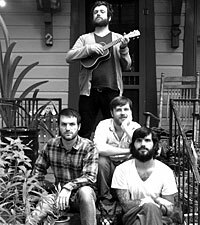 From here Infinite Arms takes a jump into a more folk-driven sound. Pace is slowed down a bit for numbers like “Blue Beard” and “Infinite Arms.” Each song has some gentle strumming, and the latter sound has some recording effects that give you the feeling that it was all recorded in some backwoods area. Don’t get me wrong, these songs have some strengths, particularly the recording of “Infinite Arms,” but there just isn’t some grand statement that is being made. In the past, there was always a Band of Horses track that made you wonder why this band wasn’t absolutely huge. Everything comes off really mild-mannered, and for some that will be a bit disheartening. Give or take two tracks (“Dilly” and “Northwest Apartment”) the record really kind of stays in the vein of slow-core Americana. Honestly, this is probably the disappointing element. Yes, they always dabbled in folk elements, but nothing quite like the woodsy “Trudy.” It lacks lyrical depth as well, but that’s sort of par for the course with this collection of songs. Where is the balance of swirling melodies that raise into the heavens, only to crash down in some sense of quiet? It’s not there at all, and in fact, the most rocking you get on the latter half of the album is “Northwest Apartement,” aptly named for its blatant Built to Spill sonic allusions. Don’t get me wrong, as Infinite Arms is a pleasant enough record. There are a few moving tracks that will still do enough to satisfy old fans, but then the rest of the record really feels like the group is just sort of treading water. 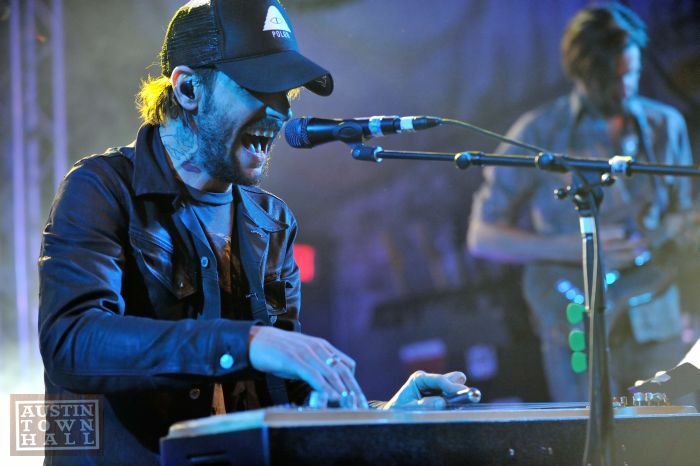 Band of Horses seems to have run out of ideas, or in changing directions, the group doesn’t seem quite as confident as they once did. All this make for an uneven record that suffers from a general enthusiasm, but that could just be my own lackluster thoughts after going through this album hoping to find one more great gem. 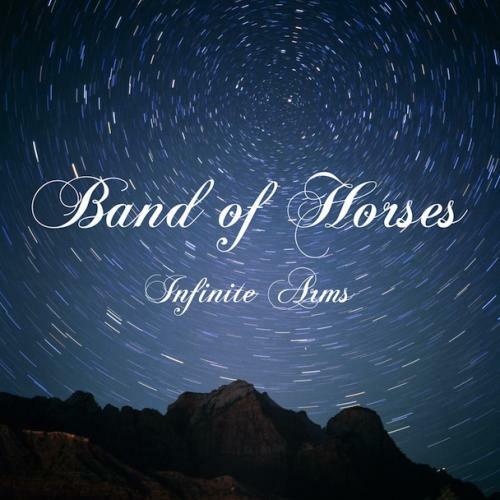 So the much anticipated release date for Band of Horses new joint Inifinite Arms is still a solid month away. Prior to that heralded day in May, the band has made the opening track “Factory” available for free download over on their website. 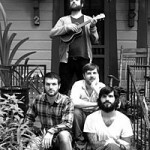 This is in addition to the free streaming video of first single “Laredo”. Here’s to hoping that they pull through on their 3rd studio album. 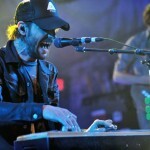 Band Of Horses finally have a new track that they’ve made available for download for free on their website. The song, “Compliments”, will cost you the price of an email address/mailing list sign up. The song comes in video Mv4 format with some accompanying images, so the file size is quite big. Maybe this is a new wave of cutting down on file sharing/leaking? Maybe? 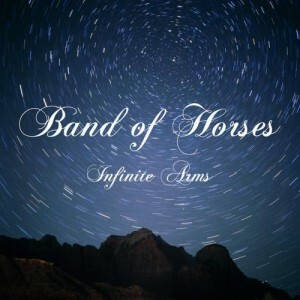 Band of Horses new album, Inifinite Arm, will be out in stores May 18th. Dig.